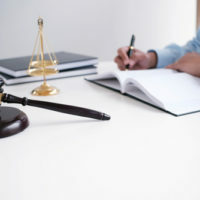 The New Jersey Supreme Court may soon throw out close to 800,000 old warrants for minor offenses, such as local ordinance and parking violations, in an effort to improve the state’s municipal court system. According to Chief Justice Stuart Rabner and a recent, scathing report from the state judiciary committee, these outstanding charges raise questions concerning administrative efficiency, appropriate use of limited public funds, and fairness, and there have been a number of civil rights concerns associated with the old offenses, as some feel that they disproportionately affect the poor. According to reports, a criminal defendant with a $100 marijuana possession fine could end up facing more than $1,000 in court costs, and a parking ticket could go from $54 to $192 if not paid immediately. The state report reflected concerns that New Jersey’s municipal courts were being used as “cash machines” to squeeze poor defendants for fines and fees with threatens of license suspension or jail time. According to statistics, the town court system alone collected $400 million in fees and fines last year, $22 million of which involved “discretionary contempt assessments.” The report indicated that these were “excessive,” and likely had more to do with “generating revenue” than ensuring that justice was done. In fact, it has become such a “crisis” that a number of attorneys on the judiciary committee expressed concerns that local judges—who rely on these fines for their livelihood—are no longer able to operate and make decisions independently. This is especially concerning given that local governments assess a judge’s performance based on revenue collected by his or her court. The committee not only recommended dismissing many of these fines, but also making other sweeping changes, such as coming up with better guidelines for sentencing alternatives, allowing defendants to pay off debts through community service, establishing more oversight of municipal judges, and providing a more robust system for setting up payment plans. A three-judge panel will conduct a series of hearings across the state that would allow local officials to speak out against the dismissals. Those offenses covered will include open warrants issued before 2003 for failure to appear (in low-level cases), hundreds of thousands of parking ticket and moving violation cases, and violations of town ordinances. The state is not considering tossing out more serious offenses, such as DUIs, speeding, and driving with a suspended license. If you have an outstanding minor violation in the state of New Jersey that you think should be excused, contact Phillip J. Murphy, Attorney at Law, today for immediate assistance. We serve clients in Bergen County and surrounding areas.